We are train wrecks. And we are holy. We are fundamentally flawed. And we are perfect, light-filled beings. Your mess is sacred ground. For clarity finding. For healing. For transformation and opportunity. All that is sacred and gold and genuine and true comes from your mess. Embrace it. Honor it. Be in it. And know that all that is being labored in that mess will soon birth a newer you, a you that has learned sacred truths that will guide the way forward to a brighter, more loving, capable, higher version of yourself. Your mess is worthy. Sacred even. 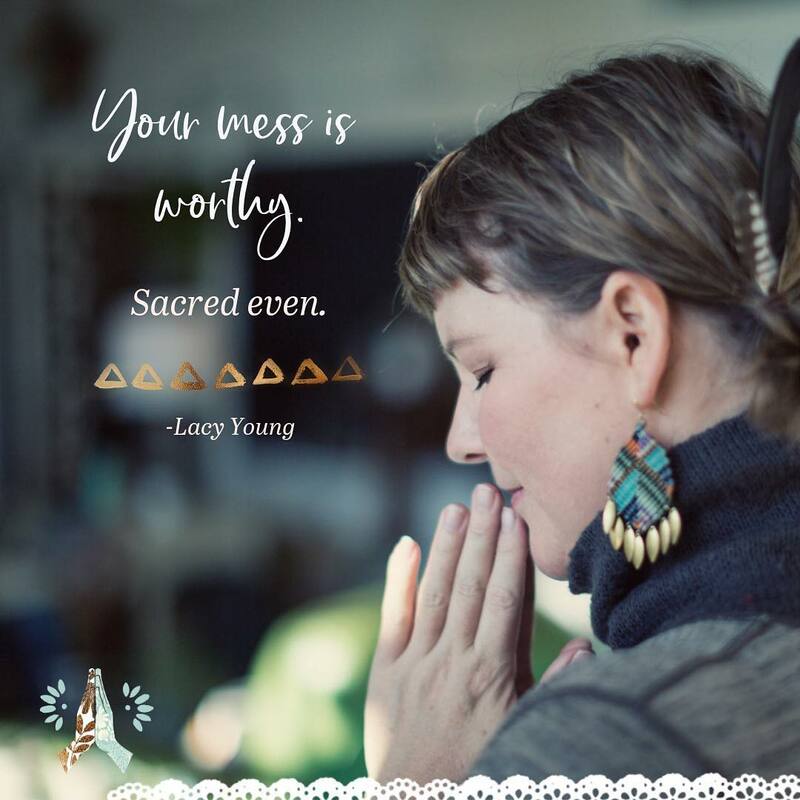 Lacy, my friend and co-founder of Self-Care Sanctuary, is also a mess embracer. She loves finding the sacred in the ordinary, GOLD in the rubble. She wrote these words awhile back on her insta and I had to make it into a pretty image. Thank you Lacy for all that you do, create, share, and put forth in the world! I love “brutiful,” that is such a great word!